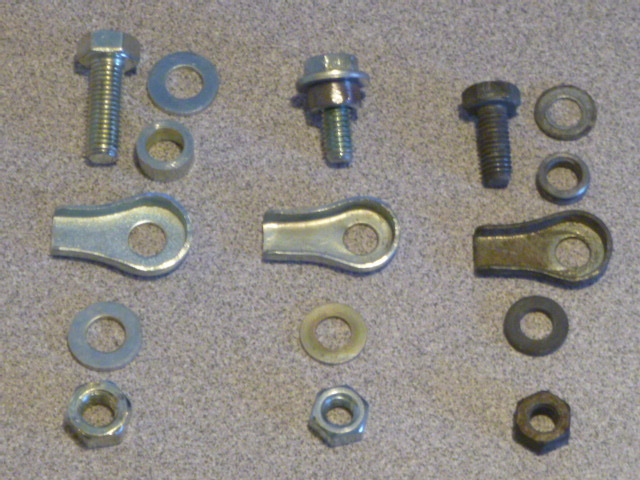 Many of the 8mm diameter pinch bolts (item P3c above) sold on the internet will slip if the bolt is not tightened with a pliers holding onto the round 8mm barrel. 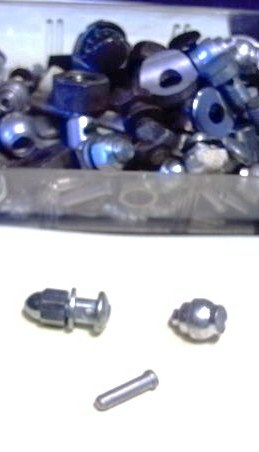 This is because the 5mm bolt does not have a dome shaped end. Myrons cuts a rounded dome in the 5mm pinch bolt. 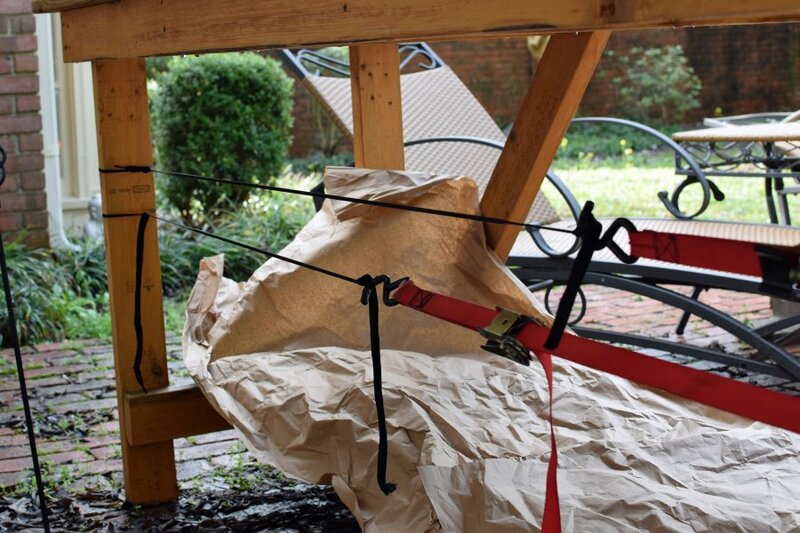 This makes it gently fold the wire into a curve when the bolt is tightened. Domed pinch bolts hold better and don’t cut. 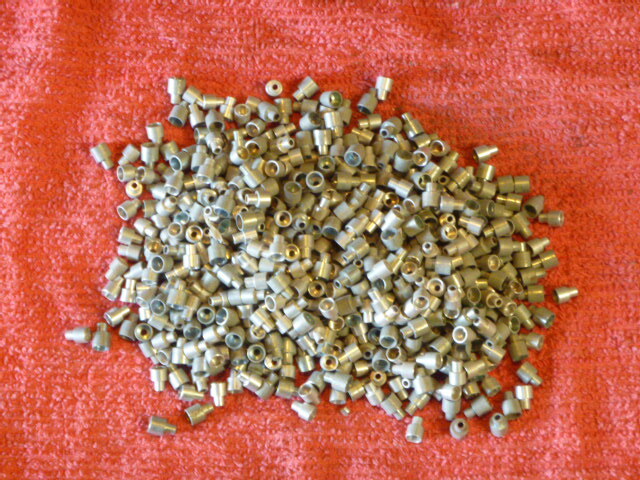 Domed and regular 5mm pinch bolts with 8mm barrels. At top, the tool that holds them for cutting and a M5x0.8 die. You pay more for a Myrons pinch bolt, but you will get a much greater benefit. Safety (it won’t pop off when you slam on the brakes), and ease of installation (don’t normally need a pliers to hold the round barrel). You can feel the cable bending as the bolt is tightened. That gentle bending is what makes it not slip. See pictures at left. 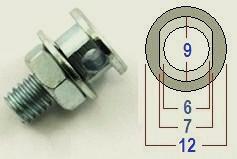 The 5.5mm diameter pinch bolts (item P1 above) for throttles already have domes on their 3mm bolts. (cones actually). So they are designed to hold good, yet be small. Nonetheless, they often need to be soldered, in addition to the pinch bolt tightened as much as possible, in order to not slip. 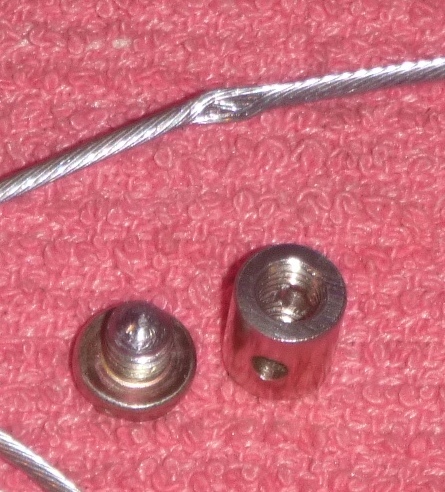 Note that the bicycle gear wire “inline barrel” end is 4mm, too big to be a motorcycle throttle wire “inline barrel” 3mm, also known as “carb” end. 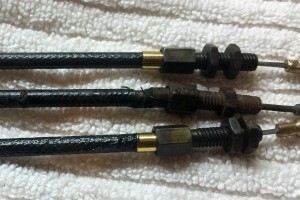 Note that the bicycle brake cable “barrel” 7mm end is too big for a motorcycle throttle end “barrel” 4 to 6mm. These bicycle cable ends are listed here to show how much different they are from motorcycle cable ends. A bicycle gear cable 4mm end could be ground down to become a motorcycle throttle cable 3mm end. 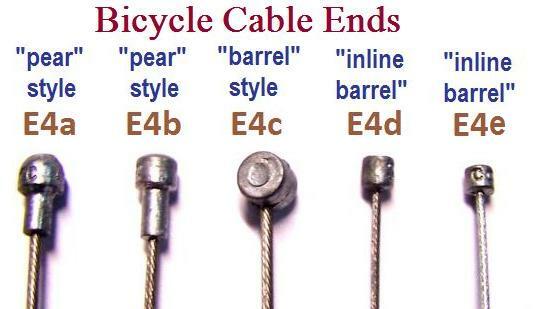 A bicycle brake cable road type interchanges with a motorcycle pear or mushroom type. 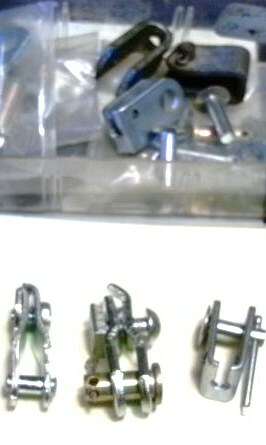 A bicycle brake MTB type 7mm end fits loosely into a 8 or 9mm motorcycle brake lever, but functions OK. The above step ferrules all fit loosely over the cable conduit. 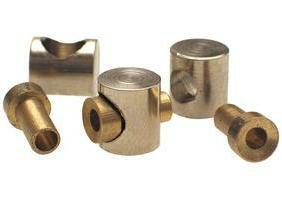 The end cap type ferrules below fit tight on the conduit, or are crimped on by special pliers. 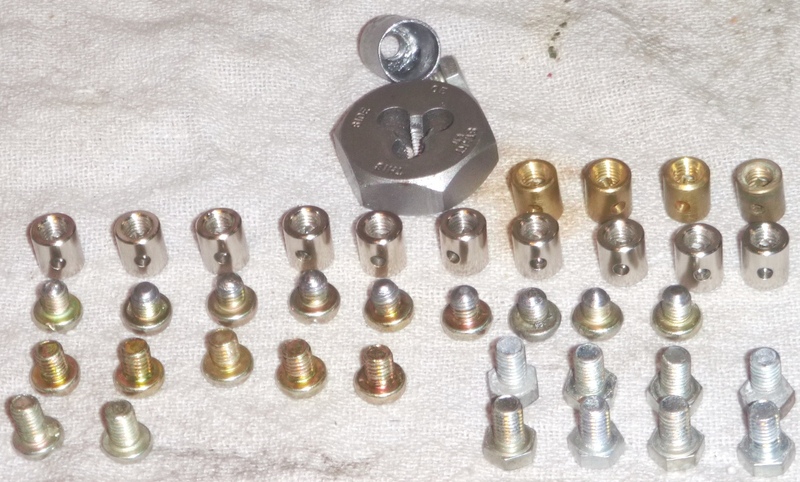 The end caps are supposed to fit tight, for several reasons: For strength and cable performance, to help keep out dirt and water (thus increasing lifetime), and for easier servicing. Unlike the step ferrules, which are necessary, the end cap ferrules are not necessary. Sometimes conduits need to be cut and the end cap ferrule needs to be left off. The conduit will still function good without end caps, as long as the adjuster or other stop piece hole, usually 2.5mm, is not too big. Without a 6mm OD end cap ferrule, a 5mm conduit will eventually slip through an improper stop piece hole, like 4mm instead of 2.5mm. But as long as the holes in the end pieces are the proper size, the cable does not need end cap ferrules. Sometimes very long cables are needed, for long bikes, or very tall handlebars, or for other things that use mechanical control cables. For 1.2mm and 1.6mm thick inner wires, up to 8 feet, it is better to use bicycle wires. beacuse they already have end(s) and cost less. 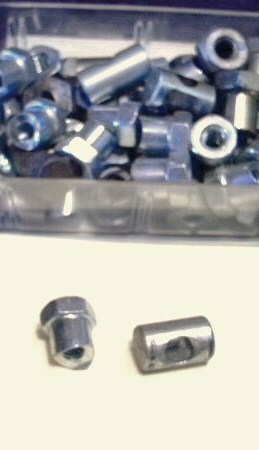 The same quality 5mm conduit (housing) for bicycles costs much less than for motorcycles, and comes in colors. For thicker or longer cables, the bulk motorcycle wire and black conduit is the only choice. B20 1508T32 big outer sleeve 11 x 13mm black PVC, holds 3 -5mm cables $1.00/ft new and flexible, at last! Since World War II, most cable conduit is coated with soft nylon or vinyl type plastic, to be flexible and waterproof. But before the 1950’s, most cable was coated in woven cotton cloth. The same is true with electrical wires. Early 1900’s electrical wires had cloth insulation, while late 1900’s wires had soft plastic. Modern plastic coated cables will replace the older woven types, but they do not have the old fashioned appearance. None of the normal cable suppliers, bicycle or motorcycle, sell cloth coated cables. 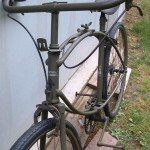 One historic old bicycle with cloth covered cables was the 1939-1945 BSA Airborne Bicycle. 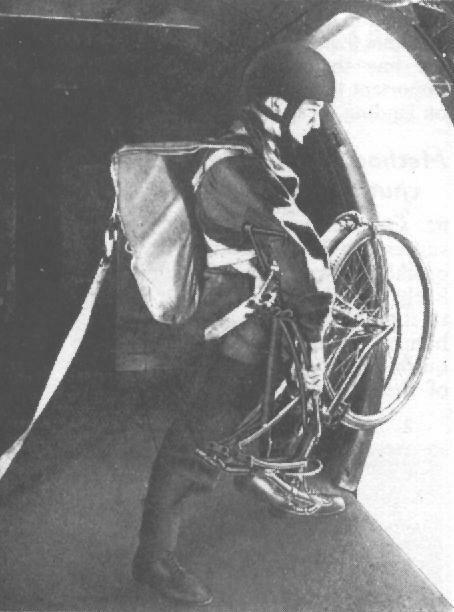 In WWII British commandos would jump out of planes with these bicycles and then quietly ride miles undetected to the destination. In 2014 a bike mechanic in Canada was restoring a BSA Airborne Bicycle. He ordered cable parts from Myrons Mopeds. That inspired Shaun to find a way to make cloth cables. A few days later, walking down the sidewalk, Shaun saw a purple Lakers shoelace laying on the sidewalk. It was big enough to see that it was actually a hollow tube. At that moment Shaun realized that most shoelaces are hollow tubes, in different sizes, colors, and lengths. 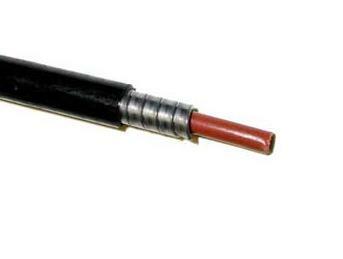 A hollow cloth tube made from a shoelace could cover a modern cable to make it look “vintage”. 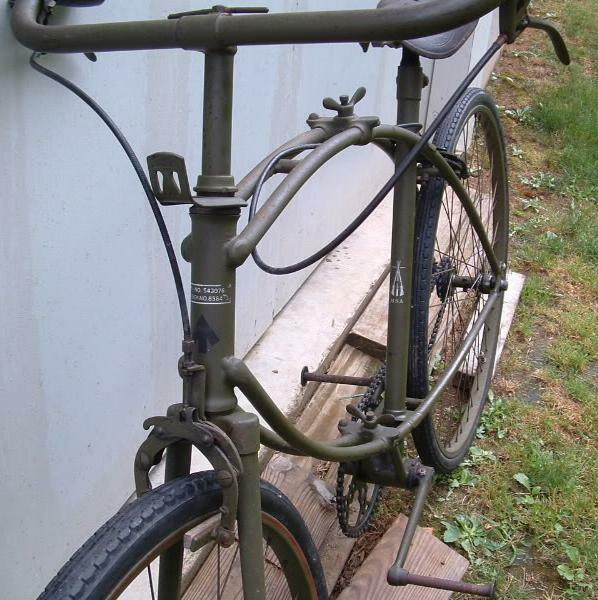 In 2015 an medical engineer in Alabama was restoring a different BSA Airborne Bicycle. He ordered cable parts from Myrons Mopeds. Shaun mentioned the idea of using shoelaces to reproduce vintage cloth cables. 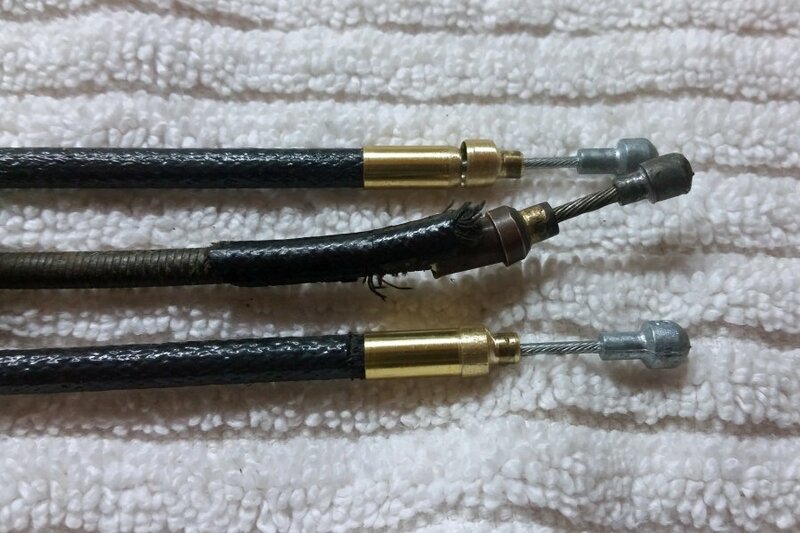 A few months later that person made this detailed report on how he successfully made accurate replica cloth cables out of modern plastic ones. 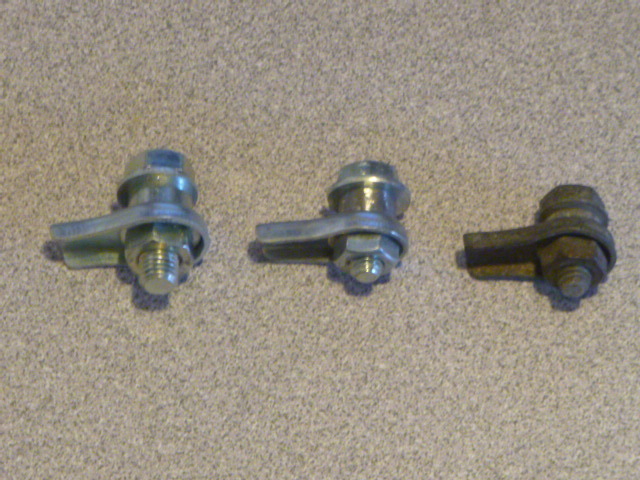 The attached pictures are the original housing (in the middle) with the new ones. The finish came out really really well. It’s hard to really see in the pictures but it is almost exact reproduction. It took a lot of work and a lot of patience but here’s how I did it. 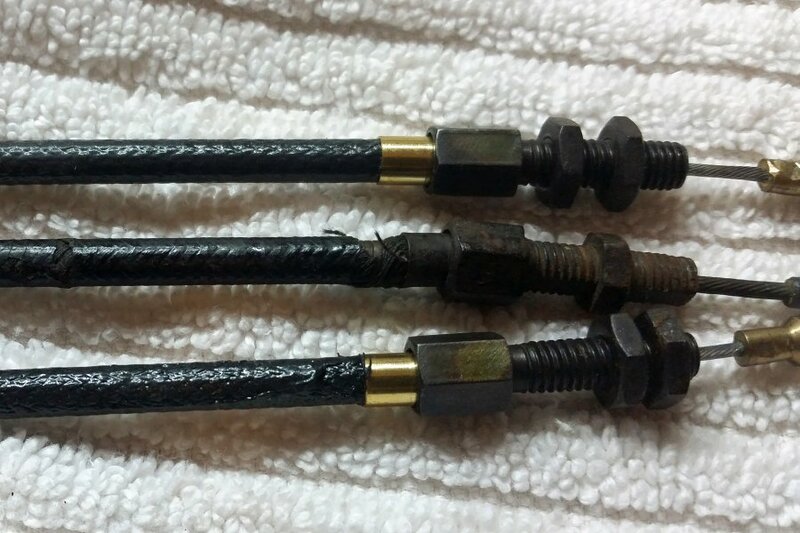 1) I bought flak jacket brake cable housing. This has a steel inner core wrapped in kevlar, then a plastic outer covering. I then cut away the plastic outer covering and the kevlar comes with it. You need to use this type housing because the steel inner core is a smaller diameter than a normal brake cable housing and that is necessary to offset for the extra thickness of the shoelace so you can get on the brass housing ferrules later. 2) face and chamfer the steel housing on a sander. 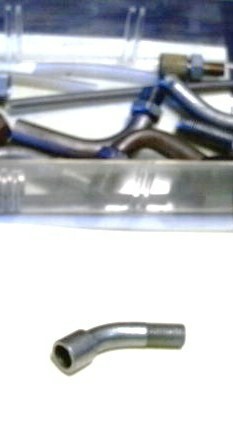 3) I inserted some straight pins with a little silicone sealant on the pin head into the ends of the steel inner cores. This is to seal the inside of the steel inner core from the plastidip later. Let the silicone dry so the pins don’t accidentally come out later. Just use a little sealant. All you need to do is seal the pin head to the housing but if you use too much you’ll end up with sealant inside the housing and it’ll be hard to remove the pins later. 4) I got some black tubular shoe laces. Turns out not all shoe laces are created equal and if it does specifically say tubular, then it is not a tube of cloth when you cut it open. I used 1/2″ tubular shoe laces and that worked better than some smaller diameter ones I found. After you cut the laces, spread apart the tube and burn the ends so they don’t unravel later. 5) Confirm that you have everything setup and ready to go for the next several steps because once you start you will be on a time clock. You’ll have about 10 minutes of working time and a lot to do in that time (step 6 – 11). Do a dry run first to make sure you know where everything is and work out any kinks in your process. 6) get a can of black plastidip from lowes (you will also need a spray can of black plastidip and a spray can of the glossifier later) pour a portion of the black plastidip into a small disposable pan. While wearing gloves soak the shoe laces in the plastidip and kneed and squeeze the plastidip into the cloth. How to stretch, tighten, and bond the cloth. 11) squeegee off excess plastidip. I used a latex glove wrapped around once. Once it looks reasonable, STOP. 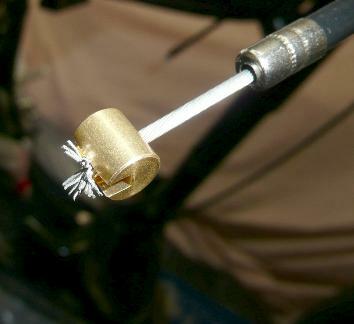 12) take some thread and use a criss cross pattern on the last 5 – 8 mm of the housing on either side. This will secure and compress the shoelace to the housing so a ferrule can fit over it later. 13) allow that to cure to 4 hours. 16) spray two coats of the glossifier to provide some UV protection and the original housings had a glossy sheen to them. 17) let all of that cure to 8+ hours. The plastidip is so thick at this point, it will take a while. If you pull it off too early, the inside will still be guey and the shoelace will separate from the steel inner core. 18) cut off the excess, pull out the pins, carefully trim the edge of the shoelace housing about 1mm back from the steel inner core. 19) run a spare brake cable through the house to clear out any excess sealer or plastidip. If a brake cable won’t fit, use a shifter cable first. 20) Build your brake housing assembles by first putting the ferrules on one end of the cable, threading the cable through (with oil) into the housing. The excess oil that is now on the housing can be used to help install the ferrule. 21) press on the first ferrule. 22) thread the second ferrule on and then press it on the other side using a little oil. The plastidip is pretty tacky and if the ferrule grabs it the wrong way, it will seperate the shoe lace from the housing and you will have to do everything all over again. Do everything you can to ensure the ferrules will slip over the finished housing. Done. Thanks for the idea, it worked, but required A LOT of trial and error to get this process down and then several days to actually make them. You are welcome to pass on this information to anyone that it could benefit. You are currently browsing the archives for the Cable Parts category.